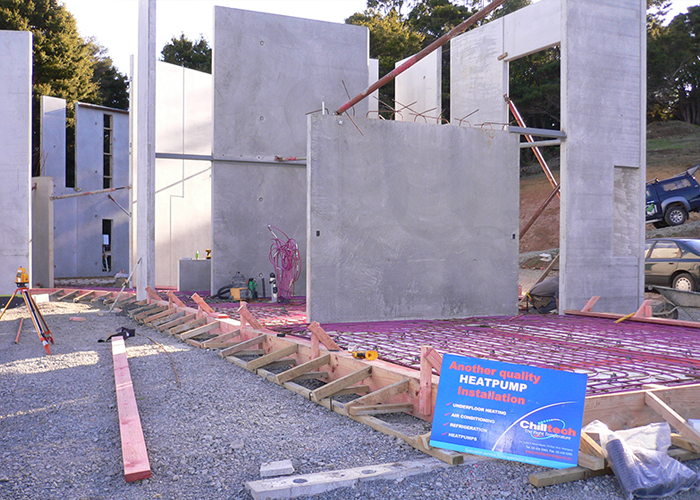 Chilltech install one of the most comfortable forms of heating available to the modern home. 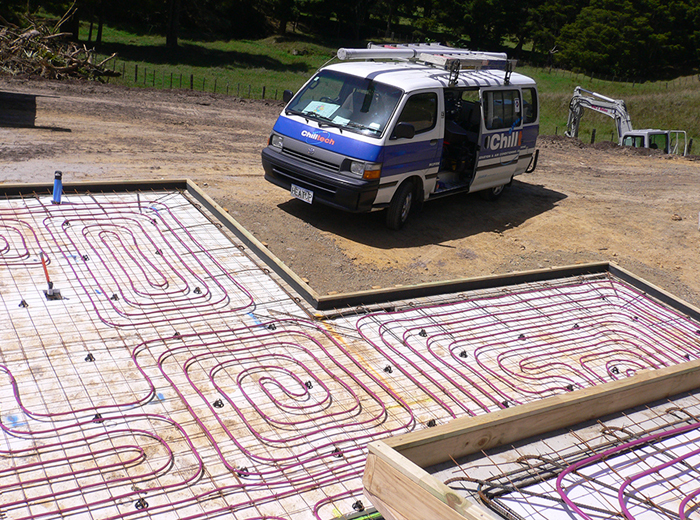 By using polybutene tubing (PE-RT) to convey warm water to each heated area, the under floor circuits provide a totally unobtrusive heating system to your home. Built to release the perfect balance of thermal radiation and convection, these systems do not circulate dust and pollen through the air and are silent in operation whilst gently heating the walking surfaces of your home. Chilltech are able to work with most domestic heat sources (electricity, gas, solar, wetbacks, diesel boilers and waste heat), however our preferred choice is to install a hot water heatpump as the heat source which are the most energy efficient heating systems available. Heatpumps may also be used to heat your domestic household hot water, swimming pool or spa. A slim line control panel houses the heart of the system. Fitting neatly into the wall cavity, it can be installed under the stairs, in a garage or store room, laundry or cupboard. The network of tubing embedded in the concrete slab conveys the warmed water from the control panel to each area you want heated. Each zone can be controlled by a thermostat to meet the individual needs of that space.